The powerful demon Nakdehar has built a veritable underground fortress. 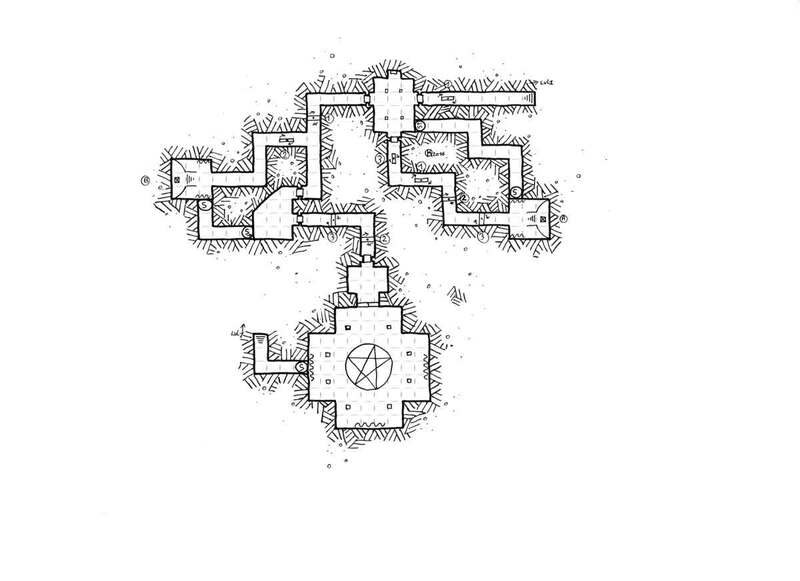 Mutants, abominations and other demonic creatures infest the dungeon. Nakdehar is protected behind several complex mechanisms. The hall of statues at the Lvl 1 is the first hurdle. Three towering demon statues (A, B, C) can slide from right to left (position 1, 2, 3) leading to the displacement of corresponding blocks. All the statues are in position 2 and no paths are accessible. 323 and 212 are the combinations which allows passage. The second obstacle is in the Lvl 2. Some walls are actually swiveling doors that block the way. All the doors of a group (1, 2, 3) rotate in the same direction and at the same time if one of them is manipulated. The last obstacle are the giant iron double doors. To unlock the doors and finally gain access to the sanctuary of the demon, insert the two relics A and B into the door. 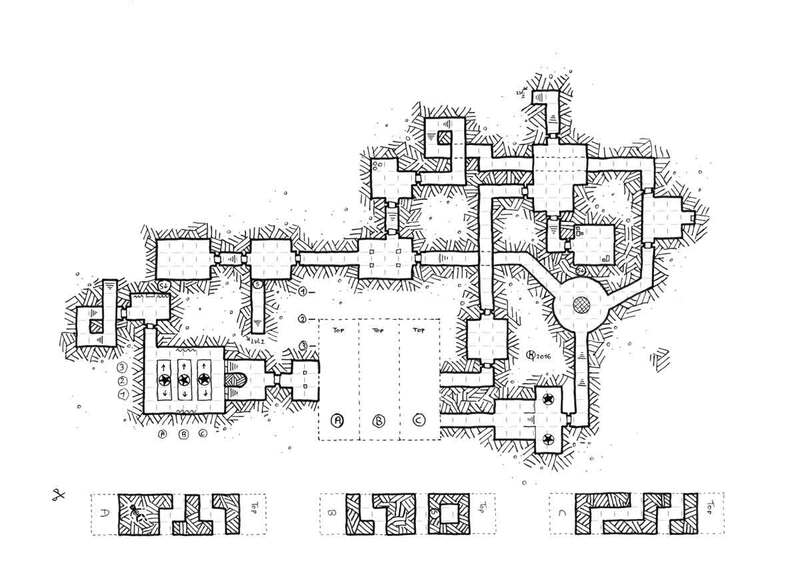 I like the skeleton … Maybe an unlucky adventurer or a worker who died when they built the dungeon … Great job ! There was a hole and i didn’t want to draw stones as usual … it’s more fun ! I was thinking about a giant who died long time ago while serving his diabolical master. He had buried him for obscure reasons … Maybe linked to an occult invocation ritual.